1. Store the avocados in the fridge in the first place. I learned this trick from Steven Gundry, M.D., who eats quite a few avocados. As soon as he gets home from the store, he puts all of his avocados in the fridge, even if they’re rock hard (dinosaur egg avocados are an NYC bodega specialty). Three days before he wants to eat an avocado, he’ll put it on his countertop, ensuring it’s ripe (but not overripe) by consumption time. This means that, if he eats an avocado a day, at all times he has three separate avocados on his counter—one that’s ready to eat, one that’s a day away, and one that was just removed from the fridge. While this method admittedly takes some preplanning, I liked the security of knowing that my avocados would stay edible for several weeks in the fridge (I tested two, and it was completely fine), and the visual cue of avocados on my counter nudged me toward finding good ways to use them. 2. 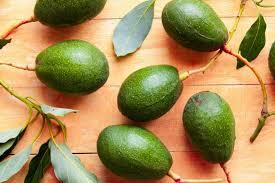 Brush the avocado with oil. If you’ve used up half an avocado and find yourself staring, bewildered, at the second half, this is the storage technique for you—it’s the method I’ve found that best lets you split your avocado usage into two days (in case you want some toast with your avocado toast). It’s similar to wrapping your avocado in plastic, except it leaves no air gaps that might brown, and you don’t have to use plastic or have it touch your food. Just brush the cut half of the avocado flesh with a neutral-tasting oil (I used—wait for it—avocado oil), and then put the whole thing in an airtight container. I found that this method works best in the under-48-hour range, but it does a remarkable job of preserving the avocado’s integrity of flavor and texture. If you have a bunch of super-ripe avocados on your hands and it’s too late for the fridge or for a light oil brush, this is your solution. Just scoop the avocado flesh onto a parchment-lined plate or baking sheet so the pieces aren’t touching each other, then freeze until solid. When they’re solid, put them in a container or zip-top bag and return to the freezer (the two-part process ensures you don’t end up with a giant avocado clump). 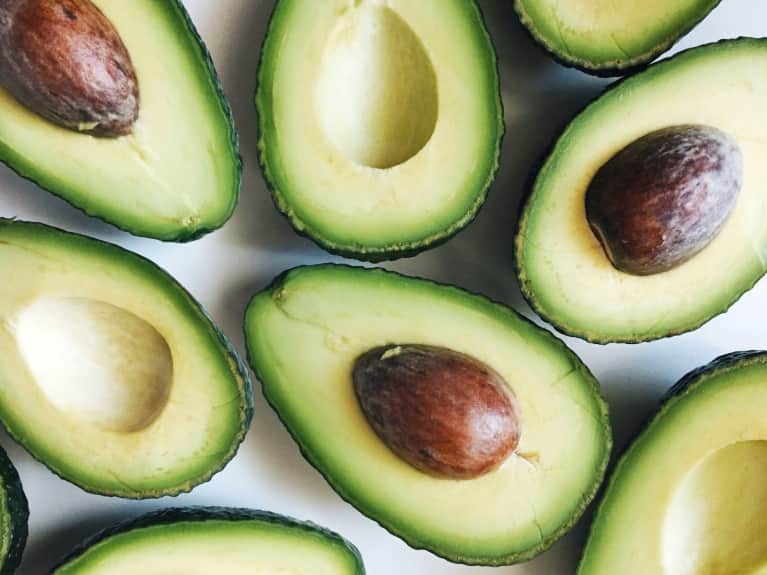 While this method obviously won’t preserve avocados for sandwiches or salads, you can use the frozen pieces to add healthy fat and a silky thickness to smoothies or to make a quick avocado mousse or ice cream. A LOT of the hacks I read on the internet failed miserably, including submerging the avocado in water (it left the flesh, well, waterlogged and unappetizingly mushy), brushing the top with lemon juice (it tasted like citrus and still turned brown), and the avocado-saver infomercial-type devices, which usually had too many air gaps to have any real efficacy. One that did surprisingly well: sealing the cut avocado in an airtight container with a cut onion. The sulfur in the onion helps preserve the avocado, but it also infuses the flesh, leaving the fruit with a distinctively onion-y flavor. A good hack, but the resulting avocados are really only suited for guacamole.